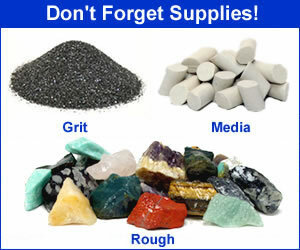 On this page you can find all of the commonly needed replacement parts for a Thumler's MP-1 rotary rock tumbler. To purchase a complete machine visit our MP-1 tumbler page. At the bottom of this page we have an MP-1 parts diagram to help ensure you order the correct parts. 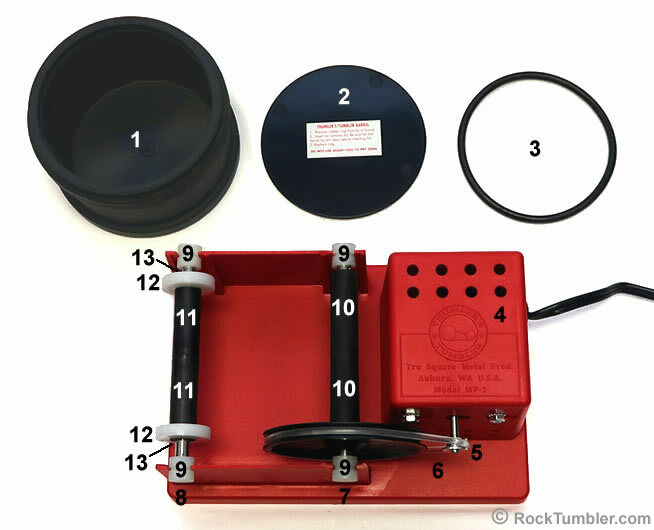 Check out our MP-1 questions, answers and tips page to get the most our of your tumbler. Replacing the belt on a Thumler's MP-1 tumbler is an easy job that can be done without tools. Lift the drive shaft off of the frame, slip the belt over the pulley, replace the drive shaft and roll the belt over the motor pulley. 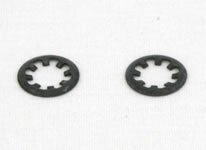 Thumler's MP-1 bearings are simple to replace. Lift up the shaft slide off the old bearings and put on the new ones. 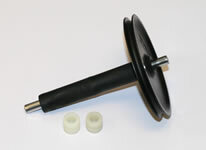 Thumler's MP-1 2 pound tumbler barrel guides are made of a durable nylon. You won't replace these often but when you do it is easy to do. Remove the retainer clip, remove the bearing and old guide, slide on a new guide and replace the bearing and retainer clip. Purchasing some extra retainer clips in case you damage one is a good idea. This is a complete drive shaft for Thumler's MP-1 rock tumbler. It comes with all rollers, drive pulley and new bearings. 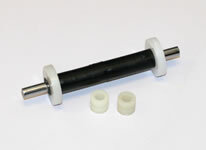 This is a complete idler shaft for Thumler's MP-1 rock tumbler. It comes with all rollers, barrel guides, retainer clips and new bearings. 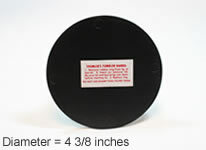 This plastic barrel lid is for Thumler's MP-1 two-pound barrel. It also fits the three pound barrels on Thumler's Models A-R1, A-R2 nd Model T barrels. 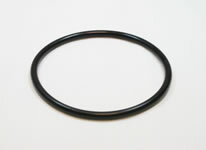 A rubber retaining ring used to secure the lid on a Thumler's MP-1 two-pound barrel. 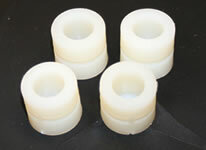 Also fits Models A-R1, A-R2 and Model-T barrels. 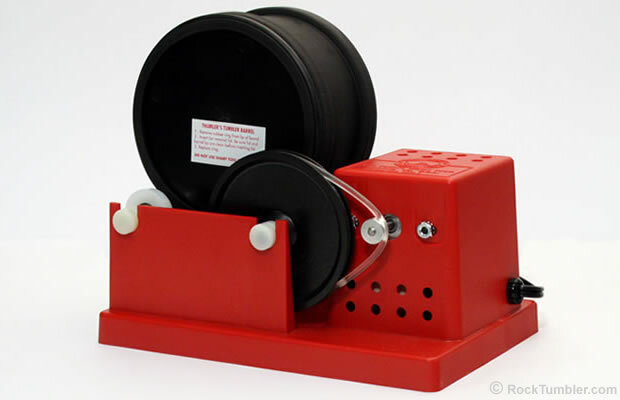 The Thumler's Model MP-1 rock tumbler barrel is a two pound capacity rubber barrel. This is a complete barrel so you don't need to buy any other barrel parts to use it. 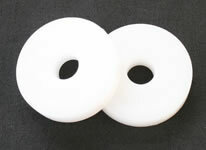 TIP: Getting a second barrel for the polishing stage is highly recommended to reduce the chance of larger grit contamination. This is the small light duty motor that fits Thumler's MP-1 Rock Tumblers. It comes with the motor, pulley and power cord.